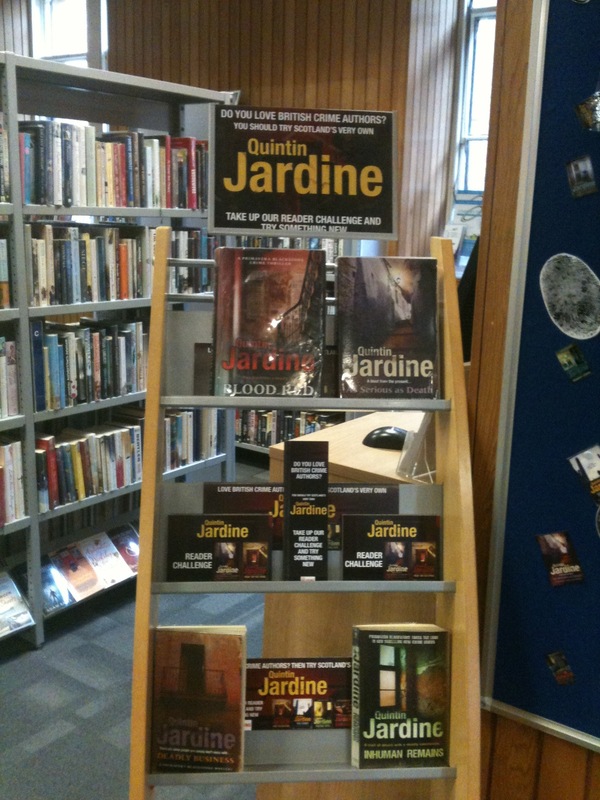 The Reading Agency have been running a Readers Challenge in Scottish Libraries, their chosen author is none other than Scottish Crime Fictions own Quintin Jardine. 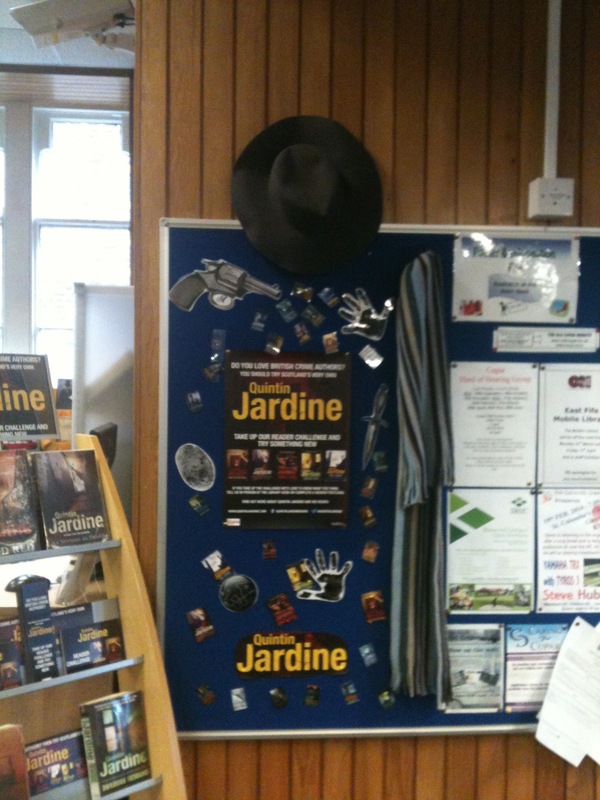 A big promotion for Scottish Crime Fiction don’t you think. Julie Corbin was born and brought up in Scotland. She runs the medical department in a boarding school when not writing. Julie’s first novel, Tell Me No Secrets, was published by Hodder in 2009, and was followed by Where the Truth Lies in 2010. Do Me No Harm, her third novel, was published in summer 2012. Her fourth novel Now That You’re Gone will be out in the Summertime. I’ve always loved words, shaping sentences, finding the right phrase etc. and have written for as long as I can remember but didn’t get serious about writing until 2006 when I went to Sussex University on my day off to study creative writing. That was an exciting time. I made good friends, gained confidence in the craft of writing and was encouraged to aim high. 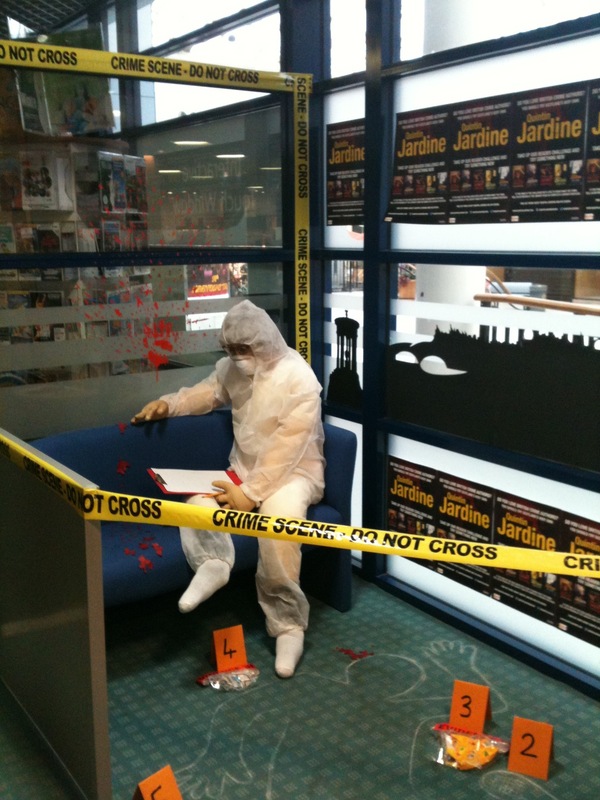 2.What drew you to write a crime novel? Everything I write seems to involve death or deceit or secretive behaviour – I’m not one for hearts and flowers! – so I gravitate towards telling stories where the protagonist is faced with a problem and has to behave in a way she normally wouldn’t to solve that problem. 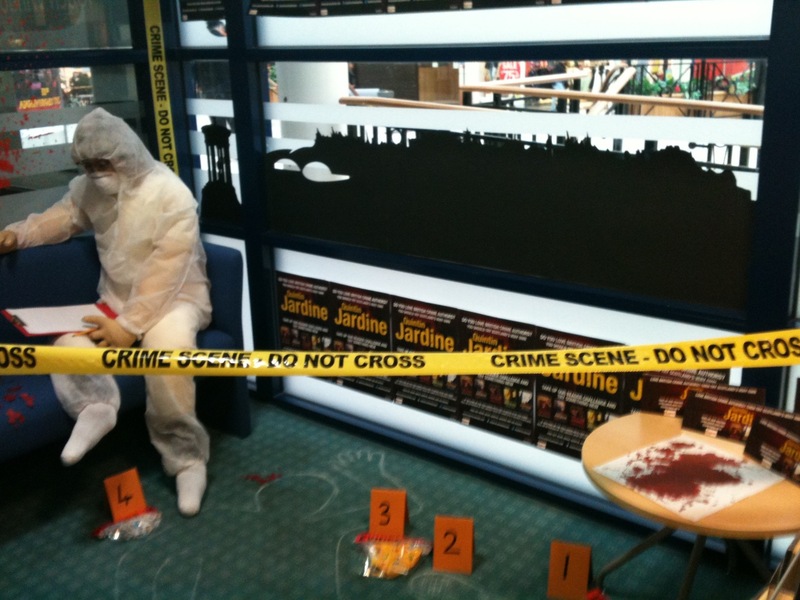 Crime is an inclusive genre that allows for a whole range of story telling. My books are at the psychological/suspense end of the crime spectrum. 3.Which writers past or present have influenced your style of writing? 4. If you were given the chance to do a series, would you go for it or do you prefer writing standalone novels? My fourth novel, Now That You’re Gone, which will be published in June, is the beginning of a series. The main character is called Isla McTeer and she is a private detective of sorts. I say ‘of sorts’ because her cases will be unusual. 6. There are many interesting characters in your novels, do you have a particular favourite one? Not really. I think I’ve liked and understood all of my protagonists when I’ve been in the throes of writing the novels. I would like to bring some of them back (the twins in Tell Me No Secrets and Kirsty in Do Me No Harm) and I may yet do that with my series. I’m looking forward to working with Isla and her family in my fifth novel, the second in the series. It’s in the planning stage at the moment. 7. You have set your novels in different places, do you have a favourite place? Definitely Scotland and Edinburgh in particular. I have Isla living at the foot of the Pentland Hills and I plan for the series to be set mostly in Scotland. 8. 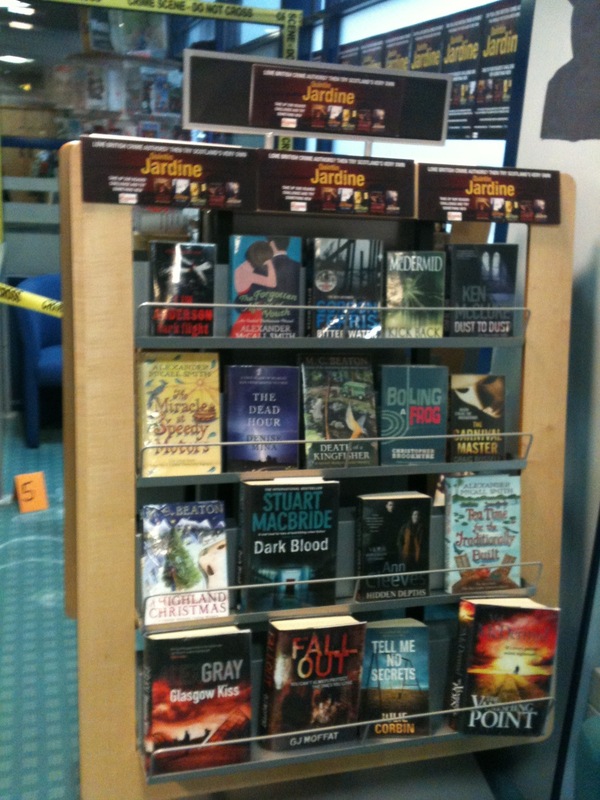 Your novels have been compared to some of the big names in Crime Fiction, how does that make you feel? It’s wonderful to be mentioned in the same sentence as writers I admire but the best thing is when I hear from readers. Nothing makes me happier than receiving an email from a reader telling me how much he or she has enjoyed my book. 9. 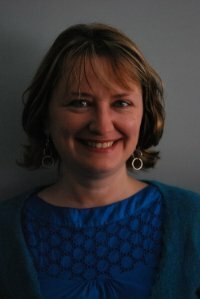 What kind of research have you had to undertake for your novels? I research place by visiting the setting and using what’s there, sometimes adding and subtracting detail as I bring the setting into the story (because it is fiction after all!). I have a cousin who is a police inspector in Edinburgh and I have had help from a range of professionals, from barristers to private detectives, who kindly gave up their time to listen to my plot and help me find the truth in the story. 10. Are the characters in your books based on any in real life? Not entirely, no. I think we are all informed by our own experiences, our personal backstory, and writers borrow a trait from one person and meld it with a trait from another, throw in some imagination and create a character who doesn’t (but could) exist. The first class I took on my university course was called ‘autobiography and the imagination’ – using your own experience as your diving off point. 11. Since you have started writing have any well-known authors given you advice? No, but I am a great believer in writing classes and at the moment I’m doing a television script writing class in Brighton and loving it. I know I still have a lot to learn and honing the craft is something I really enjoy. I like to spend time with fellow writers where we can support each other and bounce ideas around. 12. Do you see any of your characters’ personalities in yourself and vice versa? Definitely. I think writing can be cathartic – for example, over the last few years I’ve been dealing with loss as both my dad and my sister died, and this has come through in my fourth novel. It is important, though, to separate yourself from your characters so I very deliberately give my protagonists different characteristics from myself. Not least because I lead a quiet life and I need my characters not to! 14. Out of all the novels you have written do you have a favourite one that stands out to you? I like them all for different reasons, because they each had their own challenges and their own rewards. At the moment, I feel like my fourth novel is probably my best because I’m at the copy edit stage and am still very close to it. 15. As a well-known crime writer do you have words of advice you can share? Write every day. Join a class. Make writing friends. Find people whose opinion you respect and be willing to listen and to rewrite. (Writing is all about rewriting.) Most of all, though, enjoy the process! When a series of apparently unrelated but equally strange deaths occur in Glasgow’s West End within the same afternoon, the police believe they are dealing with three different incidents. All except Detective Constable Tom Russell who has a feeling that all is not as it appears. 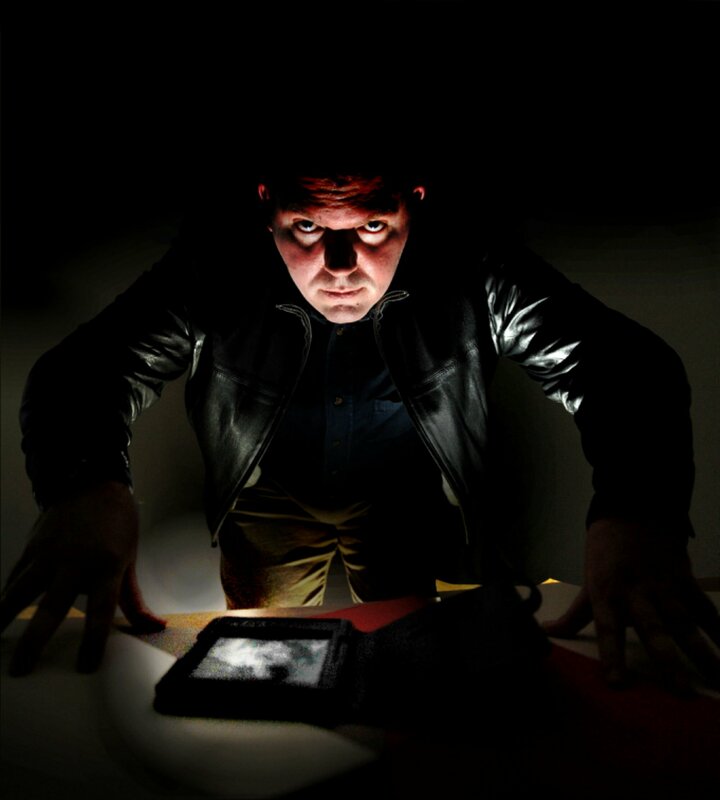 The investigation uncovers an April Fool’s Day prank but is it a joke that went too far or is there something more sinister at work? This is the first part of a three part novel. 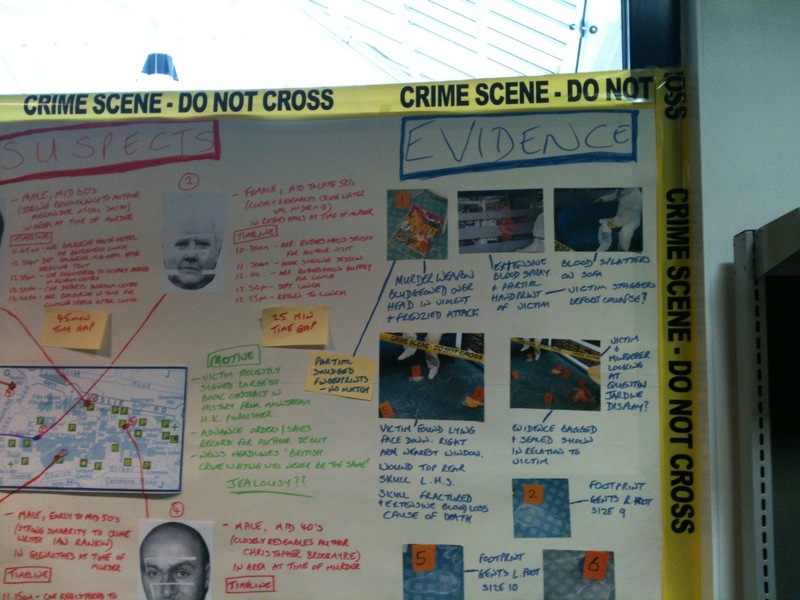 Preston and Lang investigating the death of a young girl in an old Manor house in Glasgow gets their minds ticking. Who would want to kill an innocent girl in her own home and why? They believe their questions have been answered and the case is closed. Sam Leonard could not be happier, he has an amazing acting career, an loyal best friend and a fantastic girlfriend and after a previous turbulent relationship, what could go wrong? Patrick McLaughlin’s life is going well. His marriage is stable and with a baby on the way, things can only get better. But a house that Patrick buys is not all it seems. With a family burial plot in the gardens, visions and messages from the deceased and a fairly recent death in the house, will Patrick and Jodie regret their purchase? 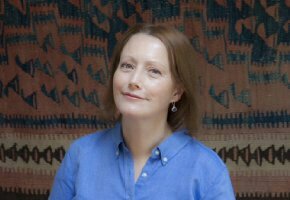 I am always on the lookout for new up and coming Scottish Crime Authors that can leave me on the edge of my seat and keep me from doing anything else but read their novels, and I think I have found just the ticket in New Glasgow Author Emma L Clapperton. I have to be honest and say that when I first read the synopsis for Beyond Evidence last year I had some serious doubts, that I would enjoy this book as I am not somebody who reads a lot of fiction that features ghosts or anything remotely like but once I was finished I was pleasantly surprised and now I am hooked on novels that have a paranormal element as they bring a different unique twist to the story. Beyond Evidence introduced us to her main characters Detectives DS Preston, DC Laing and Medium Patrick McLaughlin. In Beyond Evidence Emma L Clapperton was able to put her own unique twist on the traditional Police Procedural novel and firmly put herself on the Crime Author one to watch list, this was accomplished by combing a killer first chapter that has you hooked, keeping a balance of light hearted moments with the more dark elements, likeable characters that as a reader you can relate to and making her back drop of the city of Glasgow so believable that you could actually picture yourself as one of the characters in the books. This killer winning formula has been used again to great effect in Emma L Clapperton New Novel due out next week, entitled Henderson Manor which truly deserves the high score that it was awarded as it has everything and more that you could ask for in a Crime Novel. 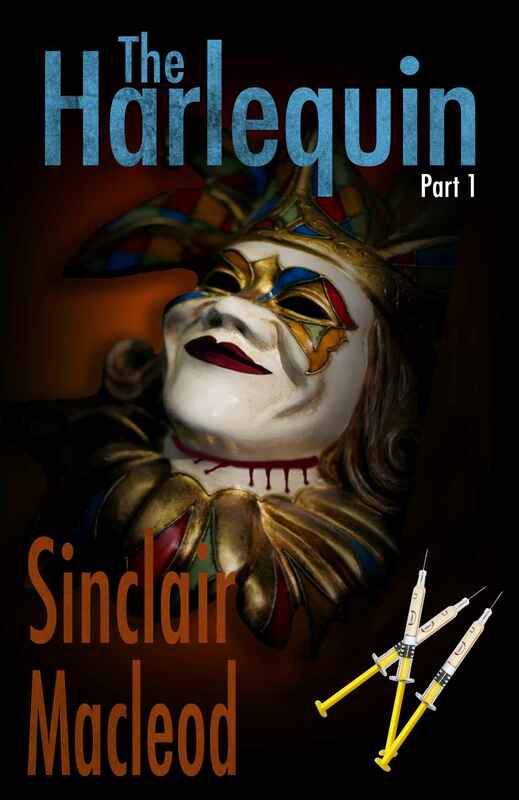 Henderson Manor will keep you on your toes and trying to guess the outcome untill the last few pages of the book and will take you on rollercoaster ride that will have you pre occupied with reading instead of doing anything else. I won’t be surprised if Henderson Manor wins a kindle book of the month award like Beyond Evidence did in April last year, in fact I think I might just start a campaign to make sure it does, it is that dam good. It just leaves me to say Hurry up Emma L Clapperton and get the next novel written, I can’t wait to see what happens next. Aline Templeton grew up in the East Neuk of Fife and read English at Cambridge University. She has worked in education and broadcasting and has written numerous stories and articles for national newspapers and magazines. She was a bench Justice of the Peace for ten years and is a former Chair of the Society of Authors in Scotland, now living in Edinburgh. She is married with a grown up family. She is a member of the Crime Writer’s Association committee. She has written fourteen crime novels and has been published in the United States as well as several European countries, including Germany. 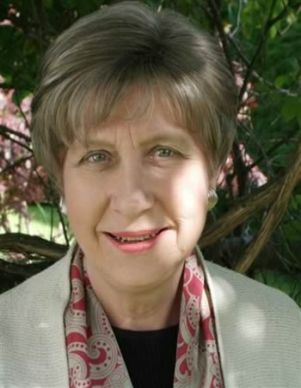 After writing six stand-alone books, she began a series set in Galloway and featuring DI Marjory Fleming, the first of which – Cold in the Earth – was an Ottakar’s Crime Novel of the Month and an Independent Best Summer Read. The Darkness and the Deep, Lying Dead, Lamb to the Slaughter, Dead in the Water ,Cradle to the Grave Evil for Evil and Bad Blood published in hardback last year. I’ve always written, ever since I could hold a pencil. I can’t remember not having a story in my head that I wanted to tell. I think you tend to choose to write what you enjoy reading. My father had a whole row in his bookshelf of green Penguins – the crime series – and I read my way through all the Golden Age crime fiction at a very early stage. Golden Age writers, certainly, particularly Dorothy L Sayers, Marjorie Allingham, Ngaio Marsh. I have an enormous admiration and affection for PD James. I had been thinking about starting a crime series and had a clear idea of what I wanted my heroine to be – or perhaps it would be more accurate to say, what I didn’t want my heroine to be. I was tired of the detective who was a loner with a drink problem, a string of failed relationships and issues with authority. For ten years I was a Justice of the Peace and I knew lots of policewomen who all seemed remarkably normal so I wanted my DI to be the woman you’d meet down the local nick – a working mum with a husband, kids, elderly parents as well as a particularly difficult and demanding job. It took me some time to get the first novel published – I wish I’d kept all my rejection slips since I could have papered the downstairs loo with them. But I did have success with feature journalism and short stories, and to tell you the truth I think the editors were right and I needed time to mature. Indeed, my first published novel (now happily out of print and never to be seen again) should probably have been left in the drawer! I’m very fond of Tam MacNee, the wee Glasgow hard man who is DI Fleming’s sergeant. He more than anyone takes over when I’m writing a scene in which he features. I find myself thinking as I start to write it, ‘I wonder what Tam will say today? I don’t think I could say one is easier than the other, but certainly with the series I have characters who are already established and I don’t have to start them from scratch each time. The advantage of the stand-alone is that you can suit the setting to the plot, but then the area where the series is set gives great inspiration for the next book and quite often a thread that is trailed in one book suggests material for the next one. Just at the time when I was developing the Marjory Fleming character I was asked to do an event at Wigtown, the Scottish Book Town. It was right at the height of the dreadful foot-and-mouth epidemic and I was thinking how awful it must be to be a policeman at that time, living in a small, close-knit community and having to go to people you knew well, friends even, and say, ‘I don’t care if this herd goes back for generations, I don’t care if your flock is a hefted flock, who know the hill where they live and don’t need fencing in, I don’t care if there’s nothing wrong with your beasts at all but they’re in the wrong place, I’m going to force you to let the killing squads on to your land to wipe them out.’ Then I thought, if that was bad, think how much worse it would be for a policewoman married to a farmer: she would find herself pitted against not only her friends but her husband as well – an ideal conflict situation! So Galloway was an obvious place for that and when I spent time in the area I could see how wonderfully varied it was and how much scope it offered for different types of settings. Quite often it involves talking to people. I’m always amazed how kind someone with expertise or knowledge is about sharing it and usually how keen they are to tell you all about what interests them. Definitely my most fascinating research was when I spent time on location with Taggart – and even got paid as an extra. Unfortunately I never managed to see myself – I think I must have ended up on the cutting-room floor! Not in the sense that their characters appear, but I did make a character out of an elderly lady I saw one day standing on an Edinburgh street. She was hunched, very heavily wrinkled with the sort of nutcracker face that looks as if the nose and chin might meet one day and she was wearing a man’s tweed jacket and baggy trousers, very shabby. But on her head she had a purple crocheted hat, with a bunch of bright pink, purple and white flowers on it. I simply had to put her in a book, as Christina in Lamb to the Slaughter. Margaret Yorke was a wonderful friend and mentor. She gave me great support and helped me find my place in the crime writing world. I think Marjory and I share a passion for justice. I was always saying, ‘It’s not fair!’ to my mother when I was a child – though I always got the reply, ‘Whoever told you life would be fair?’ so it never did me much good. I have her attitude to Robert Burns (great poet, very unpleasant man) rather than Tam’s uncritical worship, but we have a lot of differences. Marjory can’t cook and cooking is my favourite hobby; she would definitely think I was a couch potato since I would much rather read a book than go for a run. It would be DS Tom Ward, from Shades of Death. I had an email the other day asking me when there would be another DS Ward but I’m afraid he left the Force at the end of the book and I don’t think I could persuade him to return! 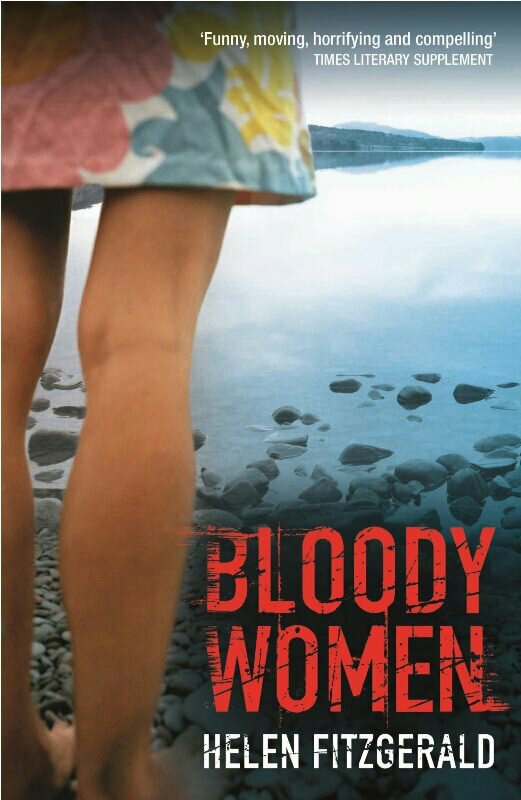 The next DI Fleming novel is in the early stages but it will be set on the Solway Coast this time and the main action starts with a car being washed up on a sandbank after a storm with the body of a man in it. He has been strangled, but the curious thing is he is on the police records as having committed suicide two years before. I’m always wary of giving people advice. As Somerset Maugham said, ‘There are three rules for writing a novel. The trouble is that no one knows what they are,’ and for every individual the rules for success are different. But what I can say with certainty is that if you want to write a novel, there is one piece of advice that works in every case – apply seat of pants to seat of chair. Thomas Ford is the only survivor of the car crash which killed his wife. He is also the only witness who would be willing to identify the young, reckless driver who caused the crash. But the driver has no intention of ever letting himself be identified, not to mention what his father’s intentions are…or those of his girlfriend, Lorna, the hospital cleaner. The young driver’s father is Jack McCallum, the powerful entrepreneur who has built a housing empire, McCallum Homes, on the high hills surrounding the city. Jack has his own dark secret to protect, as well as his business edifice to hold onto. There is no way in the world that Jack McCallum will ever let anything threaten the future of McCallum Homes. Robert Ferguson, the passenger who was with the young driver on the day of the crash, curses himself for ever getting into the car. He watches carefully to see what the universe will do about it all, and he thinks he can hear the gears and chambers of the universe’s engine, rolling terribly towards them, out of the future, and he knows he can’t cope with that, not even if he takes his medication. In the end, destiny will pull them all far out of the city, some of them to the moonlit hillside, where white butterflies and mysterious gas fill the air, and wild cats wrap themselves around cold trees. Jack McCallum’s trusted Polish foreman, Lanski, will recognise the place from the folklore-wilderness of his own childhood, a place where death can come stalking in the form of a white wolf, but perhaps also redemption can appear, for those like Thomas Ford who seek it. In any case, the young driver has it in mind to take his destiny into his own hands now, which will soon lead to the life of a second young woman hanging in the balance, awaiting salvation or destruction, perhaps only the Fates, or the wind that blows through the trees, know which. The new companion who leads him out of disaffected early retirement is a seductive, young, novice female agent, but could there really be far more to her than there at first seems? They find themselves in a world of natural beauty, mountain and beach, which they will only contaminate with extraordinary rendition, abduction, bloodshed and torture. 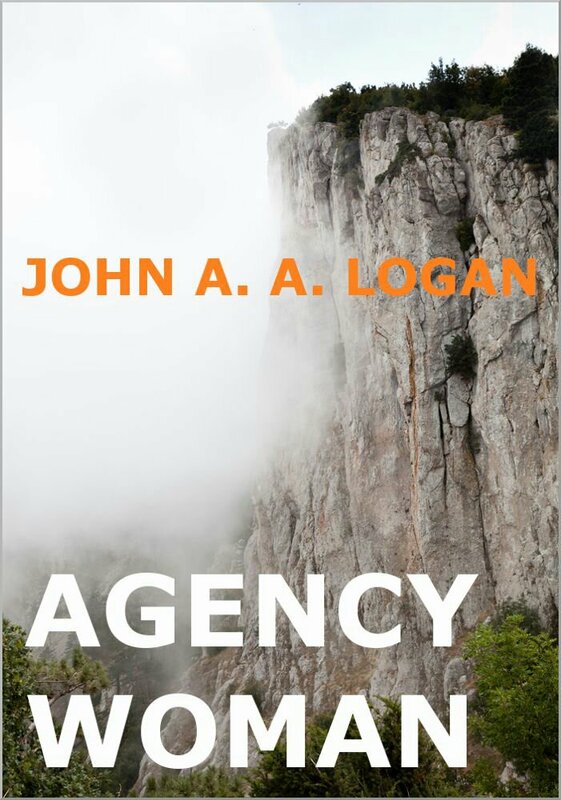 The modern bureaucratic world of paperwork and subcontracting will mean that no-one actually knows which government or country is behind the operation, but one man will soon remember why he left Agency work like this and why he hates it so much, even though it may really be love that has dragged him back into it all. A dark, Scottish tale of conspiracy, espionage, murder and terrorism, with an existential edge, and the spirit of an ancient mountain looming at its centre. I met someone in 1988 who had written a book on films. It had taken him three years to complete the book, while he was unemployed. I was present when he typed the last page of the book on an old manual typewriter. I think this gave me the idea that perhaps I could write something, too. Then, the next year, when I was trapped indoors for two weeks, contagious with chicken-pox, and had run out of things to do, it occurred to me to begin writing, starting with a journal. 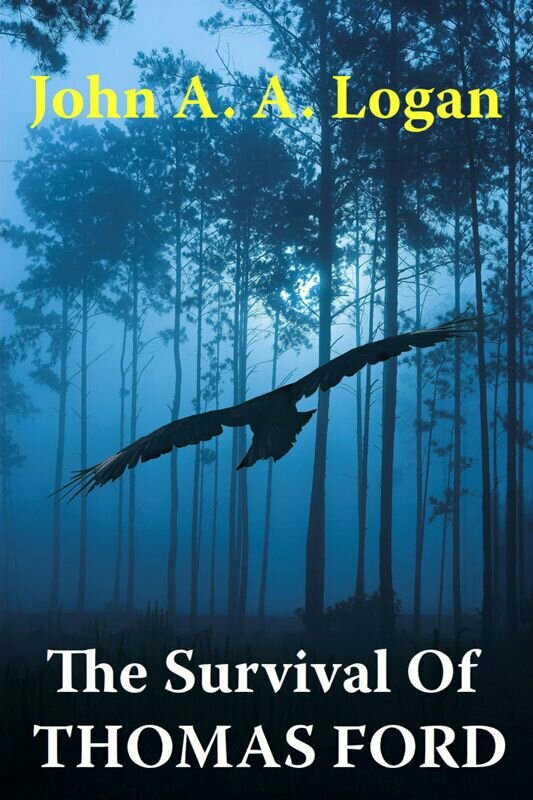 I didn’t know The Survival of Thomas Ford was a crime/thriller novel until after I’d completed it! I don’t think this is that abnormal. I heard Ian Rankin say in an interview that he was most influenced by Muriel Spark’s literary fiction, and that when he had his first crime novel published he did not think it was a crime novel. He said he kept going into the bookshop and moving his book out of the crime section and into the “literary” section, until finally he gave up and took on the crime mantle happily. Kurt Vonnegut wrote about a similar thing happening to him when he wrote his first novel and it was categorised as science fiction. One day I was writing something else and, out of nowhere, the first sentences of The Survival of Thomas Ford came into my mind. I just kept writing until the first chapter was finished. I usually start a book like that, nothing planned, one day it just erupts out of the subconscious. In retrospect, I can see that the influences included some people I had known, and a remote hill location where I had lived once. So, in 2012, after all that, I decided to epublish my work on Amazon, which has resulted in 125000 downloads of my ebooks so far…and hundreds of reviews from readers on Amazon and Goodreads. Well, Jimmy in The Survival of Thomas Ford has been described as a “brilliant creation”, but I wouldn’t want to meet him! He’s a favourite, though, in that he has always had a powerful effect on readers. I may do this at some point, with Jim Balkergan, and Lucy, from my new novel, Agency Woman. The Scottish Highlands. The Survival of Thomas Ford is set in Inverness/Drumnadrochit. Agency Woman is set in Inverness and north Sutherland – Achriesgill, Kinlochbervie, Oldshoremore. In one way, none. In another way, a lifetime of listening, and observing the people and places around me. I suppose I’m trusting the subconscious to do the research. No…but inevitably, physical and psychological traits of people we have met and known, get distilled, and blended, appearing later as “characters” in stories, some more recognisable than others. Yes, sometimes, here and there. I don’t want to admit which characters though! The next novel I release will be Starnegin’s Camp. It isn’t a crime thriller, though. It’s more of a historical fantasy novel, set about 2000 years ago in a new colony on the far side of the world. 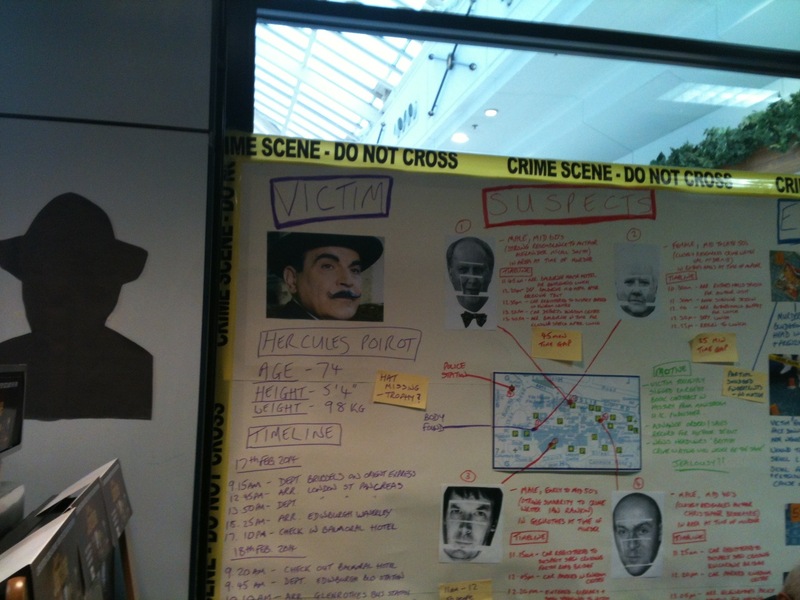 Then again, there is crime in there, and a mystery/thriller plot! Yes, write from the heart, the book you want to write. A young man is found hanging by a rope in his Edinburgh home. A simple, sad suicide, yet Detective Inspector Tony McLean is puzzled by the curious suicide note. A second hanged man and another strange note hint at a sinister pattern. Investigating a brutal prostitution and human trafficking ring, McLean struggles to find time to link the two suicides. But the discovery of a third convinces him of malicious intent. Digging deeper, McLean finds answers much closer to home than he expects. Something terrifying stalks the city streets, and bringing it to justice may destroy all he holds dear. 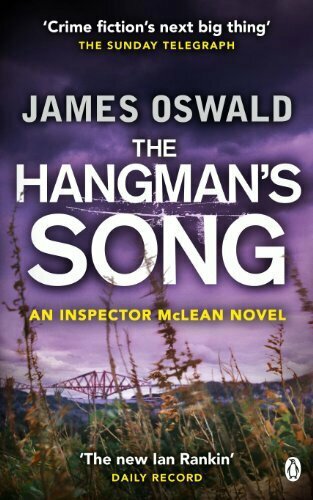 It’s been a long time coming but the Fife Farmer that stormed into the crime writing world last year is back with his third instalment of his Inspector McLean series, The Hangmans Song which see Tony McLean deal with the aftermath of the events of the last novel The Book of Souls. Even with a move from Homicide to Vice, Tony is still managing to cause some mayhem for Duggard and bring some justice to the victims of some horrific crimes whilst still having to dealing with the painfully memories of his parents death when he was young, the death of his beloved Grandmother, the murder of his fiancee, the death of his neighbour when his flat was set ablaze and the lasting impacts that the head injury and coma has had on Police Photographer Emma and their on and off again relationship. What makes the Tony McLean novels and in particular the new one,The Hangmans Song is that he continues his winning formula of believable characters, and away of making his Edinburgh so believable that it makes you feel as if you are living out the action yourself in the novels with characters and dark storylines that keep you guessing right up to the final page and that has you on the edge of your seat and try as you might has you not doing anything else during the day and staying up all night just in order to continue reading the book till the end. And even better you won’t hang to wait for the next instalment as the next novel Dead Men’s Bone will be out this year in July,can’t wait to see what happens next. Returning to Scotland to organise her wedding, Catriona is overcome with the jitters. She decides to tie up loose ends before settling permanently in Tuscany, and seeks out her ex-boyfriends. 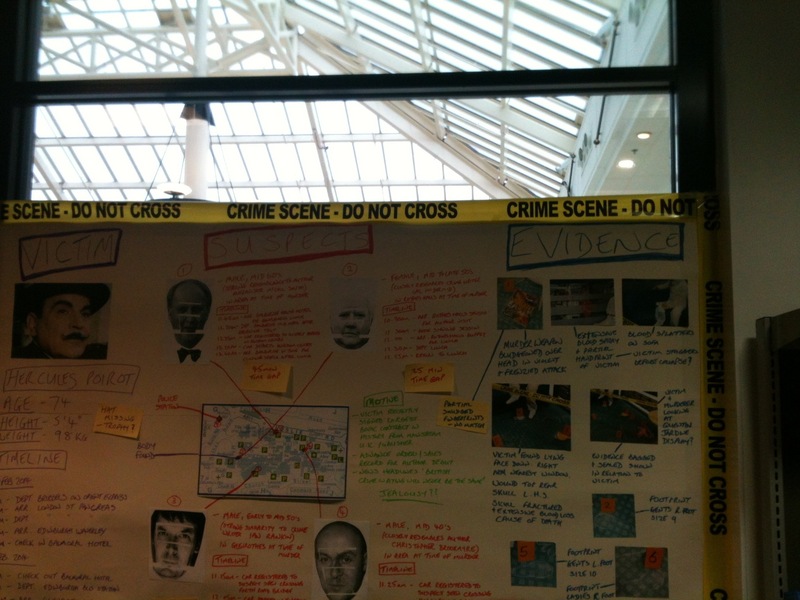 Only problem is, they all end up dead and Catriona is the prime suspect. 1. How did you get started writing? A teacher in primary school told us we could choose what we really wanted to do one afternoon and I decided to be a writer and write some poems. He was a genuine hippy with long hair and striped bell-bottom trousers. I hope that sort of encouragement is still around in education. Many years later, I published my first novel. 2. 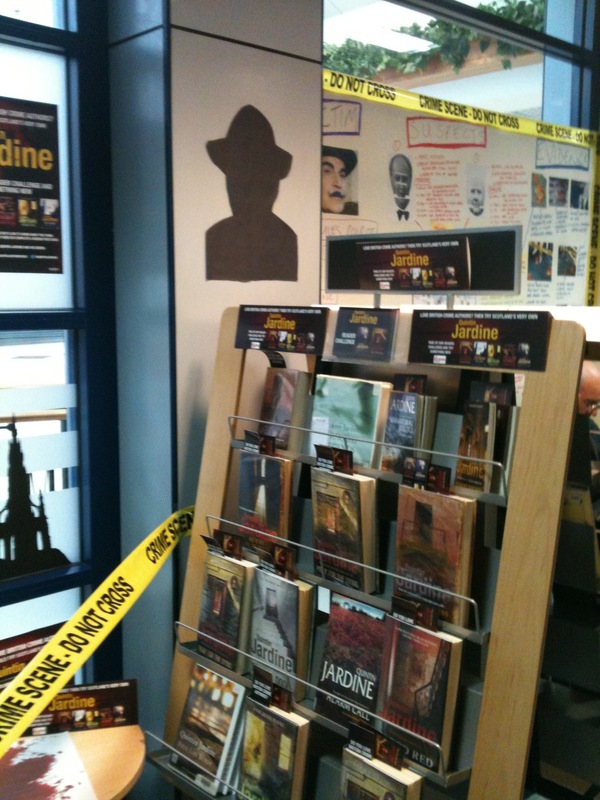 What drew you to write a mystery novel? Secrets of the Sea House is about how ancient legends or stories can contain oral history otherwise lost to us and so I wanted the book to be in the form of a traditional story containing some surprising truths. I studied story form as part of my MA in creative writing, the psychological templates within myths and fairy tales. Story can entertain and keep us turning pages, but it also does a lot of work in showing us who we are and what we can be. Crime novels are certainly page turners, but they allow people to ask questions about good, evil and the way in which a society functions for good or bad. Jar City for example, set in frozen Iceland, is a thriller but has almost Biblical themes and it poses a lot of questions about the human condition. In the novel I also looked at how story is often part of the healing process in trauma recovery, reading Boris Cyrulnik’s book, Talking of Love on the Edge of a Precipice. 3. Which writers past or present have influenced your style of writing? So many. I love Ian Rankin, Peter May and other crime writers. I also love books where the focus is on the poetic evocation of time and place. Some books can do that so strongly that you feel as though you have been transported bodily to somewhere else, as in Tan Twan Eng’s Garden of Evening Mists. 4. What was the inspiration behind the Secrets of the Sea House? I came across the work of Gaelic historian John MacAulay and his book about what really lay behind the sea people legends historically – namely a lost tribe of Norwegian hunter gatherers in seal skin kayaks. I was blown away when I found that a letter had been published in the Times about an actual mermaid sighting in Scotland in 1809. 5. When you first started writing did you find it hard to get publisher interested? Following a group reading for the MA where we invited all the agents in London I think – and a handful came – I was lucky to have the interest of an agent, Jenny Hewson at RCW. She waited until the book was completed then matched me with a publisher who was able to see what sort of market would fit my kind of writing. But nothing went forward until I had a finished novel. 6. There are many interesting characters in your novel, do you have a particular favourite one? I became interested in clearance history and the voice of Moira appeared in the story – and she refused to pipe down. It was very exciting to have characters spring up with so much to say! 7. Would you ever consider writing a series of novels or are you happy to write stand alone novels? I am happy to do either depending on the way a story goes. It’s a good move to write a series, if you can, regarding sales. 8. 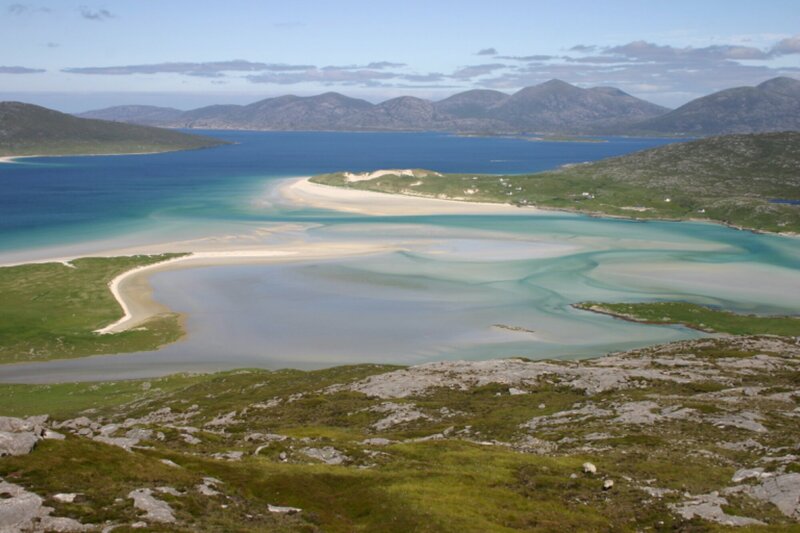 Why did you decide to set your book on the Isle of Harris? It began as an attempt to try and capture and communicate the experience of the beautiful wilderness of the Hebrides. That soon became a fascination with Gaelic culture, not as a folk relic but as a living and breathing culture, including the legends that are still told today. At the Glasgow book event Julie Fowlis came and sang an old Gaelic song written by the real MacOdrum, the famous bard who was reputed to be descended from a seal. 9. What kind of research did you have to undertake for your book? I loved reading about the Hebrides so I was already raiding the bookshops in Tarbert and Harris even before the book idea began. I also visited the wonderful history and genealogy centre, Seallam, run by the Lawsons in Harris. Bill Lawson has published a great many books and pamphlets on Hebridean history. 10. Are the characters in your books based on any in real life? They are all fictional but composed of ‘real’ elements. I tried hard to base clothes, places, details of events on researched possibilities. So the story of the selkie is told from a crofter’s point of view and contains details of crofting lifestyle from the eighteenth or nineteenth century. The marvelous artist Willie Fulton of Drinishader told us many tales about his crofting village from sixty years ago and those histories informed some of the character’s settings. His paintings are on the book trailer. 11. Since you have started writing have any well known authors given you any advice? Rhidian Brook who wrote the Aftermath advised me to embrace cutting out unnecessary words, which really helped, and I meet with a group of authors to question what we write and to see it from the reader’s experience. It can be brutal but is a wonderful way to grow as a writer. In a way I think all the characters you write are fundamentally yourself in dressing up clothes. It’s an exercise in empathy, trying to walk in someone else’s shoes and understand what motivates them for good or bad. 13. If you can, could you give us a sneaky peak into any future novels you have planned? The next book, Return to Fourwinds is out in September. It opens with a bride who goes missing from her wedding and looks at how some secrets can cause rifts in relationships and why that happens. It’s set around the two World Wars in England, Scotland and Spain. Researching the book, I was amazed to find that a distant relative was something of a spy in war-time Madrid in 1940. That also fed into the novel. 14. You have been compared in your writing to some of the big names in Scottish Fiction already, how does that make you feel? Surprised, and certainly happy. 15. As a blossoming writer do you have words of advice you can share? Get feedback from readers and learn all you can about the process from books and courses. And of course it’s important to remember that there are two phases to writing: writing unfettered as the inspiration comes, and then going back to read it as a reader or editor to see if you said what you wanted to convey – and keeping going till you get there. No writing is ever wrong or wasted, it is in development and leads on to the next thing. 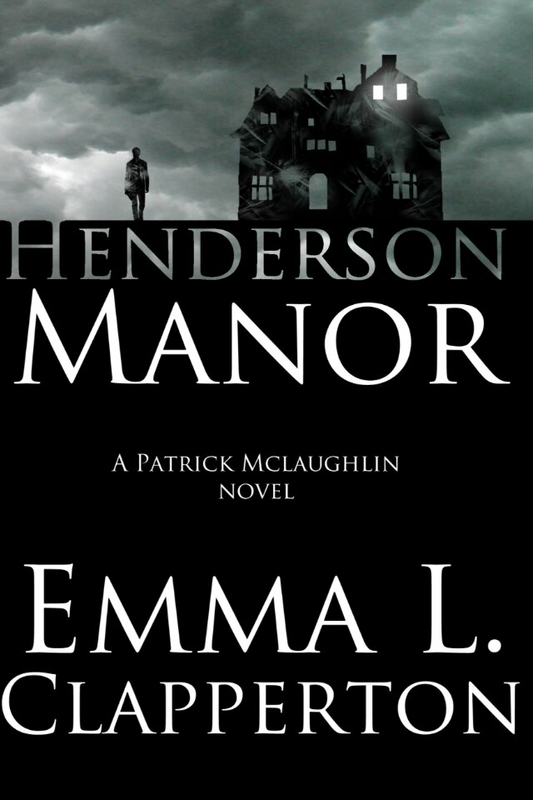 To celebrate the release of Henderson Manor, the second installment of the Patrick McLaughlin series, Emma is doing a online book launch. Drop by on Saturday 1st March from 9am to1pm and you’ll be in for a treat. There will be competitions and some fab prizes to win, including a few signed copies of books by some seriously fantastic authors. One of the wonderful authors participating is Mel Sherratt and she has kindly offered to give away a signed copy of her wonderful book from the estate series somewhere to Hide. 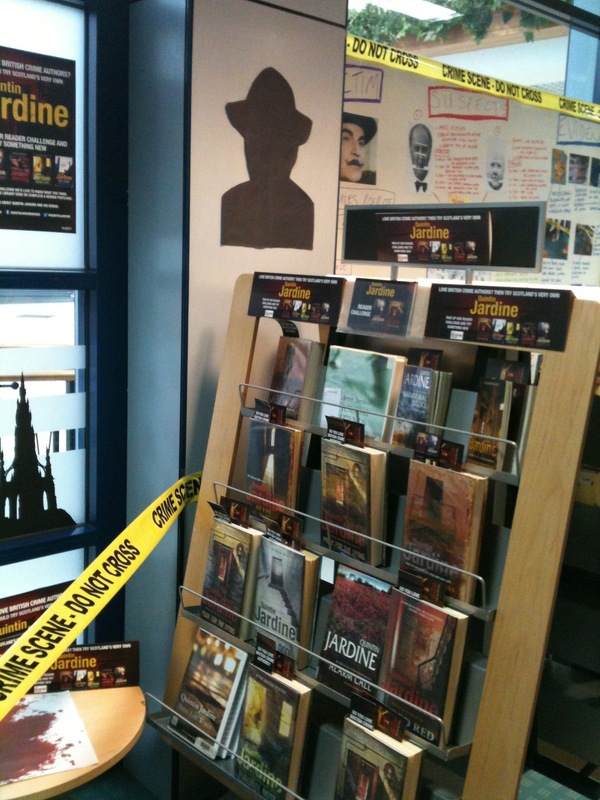 Michael Malone will be giving away a signed copy of one of his books; he is a fantastic Scottish Crime writer. Denzil Meyrick will be giving away a signed copy of Whisky from Small Glasses, a fantastic crime novel set in Kinloch. Another fantastic Scottish Crime writer. Casey Kelleher will be giving away a signed copy of her latest book, Heartless, which is her third novel. Stephen Edger will be donating a copy of his novel, Snatched. Stephen has written six novels and has also contributed two short stories to an anthology which includes works by Stephen Leather.